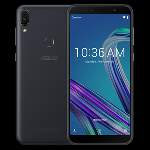 Asus has launched two new smartphone called Asus Zenfone Max(M1) and Zenfone Lite(L1) today under low budget category.Both phones arun on Snapdragon 430 processor.The phones are upgrades version of its predecessor Zenfone Max and Zenfone Lite. The Asus Zenfone Max(M1),like it's name it features huge 4000 mah battery on top.The phone has 5.45 inch HD+ capacitive touch panel display with 1440×720 pixel resolution and supports 5 point multi touch.Its display is layered with 2.5D curved glass. Under the hood it equipped with 64 bit Snapdragon 430 processor and Adreno 505 GPU.Its CPU is merged with 3GB RAM and 32GB internal storage.Its storage can be expand further into 256GB. Pointing towards it's camera features,it has 13MP f/2.0 aperture pixelmaster camera with phase detection autofocus and LED flash on rear and 8MP f/2.0 aperture wide angle pixelmaster camera at front.The phone also equipped with finger print unlocking system as well as face unlocking system.The phone will be available to buy in India through flipkart.com with Rs 8,999. 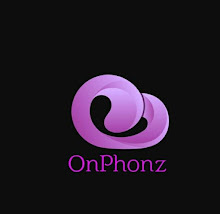 Asus Zenfone Lite(L1) features 5.45 inch HD+IPS display with 18:9 aspect ratio.It has 82.3% screen to body ratio and 400 nts brightness.The low end device runs on Snapdragon 430 processor and Adreno 505 GPU with 2GB RAM and 64GB onboard storage.The phone also expansion of storage up to 256GB via sd card slot. For photography,it equipped with 3MP camera with f/2.0 aperture.At front,it it is compelled with 5MP pixelated camera.The device is configured with 3000 battery.It comes with connectivities like 4G LTE,GPS,Wifi 802.11 a/b/g/n.The phone will be go on sale soon with Rs 6,999 in India.